Due to my feelings of guilt over my screw-up yesterday in regards to Chad Gaudin and his player position, I thought that maybe I’d try and drum up a more quality post today. But I have no idea if the game is going to be broadcast on 710 today (it will be on MLBN, but not until 7pm), and I’ve got to help some friends from the East coast move into their new apartment, so something more solid probably needs to wait until I’m in a better position to take care of it time-wise. This is not Photoshop. 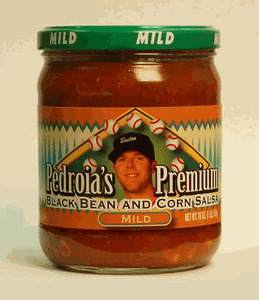 Dustin Pedroia has his own salsa. This may be common knowledge to other people, but it was a revelation to me. Life will never be the same.